TORONTO, ONT. – Twenty-seven locations, 16 brands and 1,400 employees make for plenty of challenges. 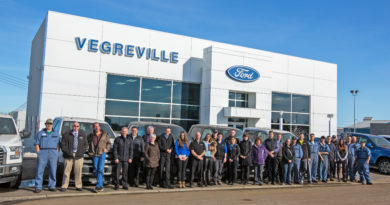 But Jennifer Fitzsimmons, Humberview Group’s director of people and culture, says the dealership group works hard to hire team members who embody its values and culture. She goes on to say the group celebrates and recognizes the high percentage of people with long tenure, however like every business, turnover is inevitable. With the annual turnover rate at 30 per cent – still lower than the industry average – Humberview Group hires approximately 200 people a year. “Trying to put the right people in the right seats is a major focus with our group,” she says. Building the team starts with recruiting. The group has its own HR recruiter who screens the applicants on behalf of each dealership to see if the candidates have the right skills and, most importantly, will be the right fit for the group’s culture. The pre-interview process involves a personality assessment – what motivates the person as well as identifying their strengths. This information goes to the department and or business unit leader, who does the actual interview. Leaders are trained and coached on how to properly interview if they need support. Fitzsimmons stresses that a successful candidate must have more than just the right skills; they must live by the team’s values. 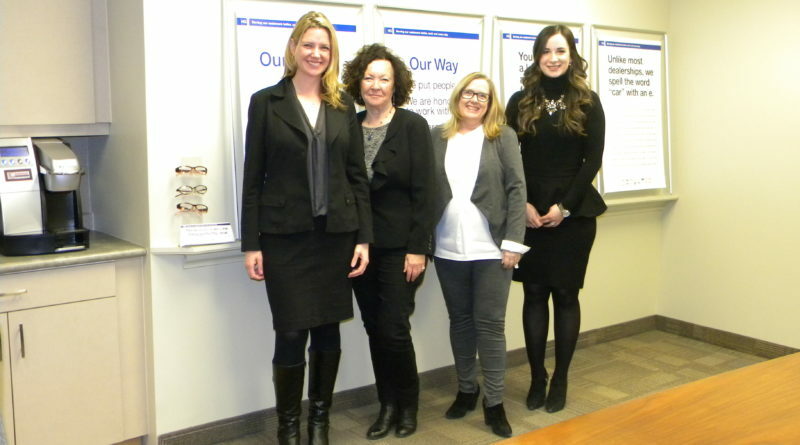 Toronto-based Humberview Group inventories the remainder of the applications just in case another opportunity emerges. “We now have a substantial pipeline, so when we forecast a need or have an immediate request, we will have talent ready to go,” she explains. Next comes onboarding. Within one month of signing on, the new team members attend a new-hire orientation. “Our president, John Esplen, never misses one. He speaks about the history of the group, how it started as a family-run business, and, even though it has grown well beyond its original roots, that family spirit still exists today. She says the program also introduces the new team members to the group’s focus on health and safety, the extensive list of perks and benefits and another healthy helping of information about group values. The late Stewart Esplen began the group in 1962 when he became a General Motors dealer at Skyline Pontiac Buick in Richmond Hill, Ont. 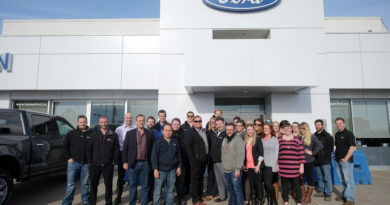 Twenty-seven dealerships later, the group holdings are largely in the Greater Toronto Area, though there are additional stores in Goderich, Woodstock and Barrie, Ont. These are fine aspirations but how does the group deal with stores whose OEMs are so different one from the other? Fitzsimmons says Humberview Group regularly bring together department leaders from all its stores and brands to impress upon them and reinforce the purpose of “serving customers better, each and every day,” no matter what OEM they work with or for. They also discuss how to deal with problems and issues that arise. Members are encouraged to network amongst other leaders inside the group to solve common problems – “cross-dealership collaboration,” she calls it. They soon learn they have more in common than they have differences. “Our values transcend the brand differences,” she says. But she says management does not try to centralize decision- making. In fact, she insists, dealership leaders are training department leaders to solve problems on their own. “We don’t sit up here and dictate from the head office; all of our very competent dealership leaders are empowered to make their own decisions. We don’t get involved at head office unless we have to or are requested to,” she says. She goes on to explain how all team members are encouraged to act on their own in the best interest of the customer and ultimately the business.